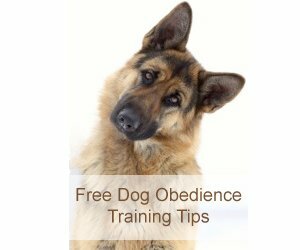 Looking for German Shepherd signs? You can warn potential visitors to your home with a beware of dog sign. It's usually a good idea to post a dog warning sign, especially for those that may be unaware a GSD lives in your home. There are also GSD signs that are a bit on the lighter side. My absolute favorite funny dog sign reads, "I make it to the fence in 2.8 seconds, can you?" "
Several different versions of this sign are available on Amazon. I also really like the retro "Beware of German Shepherd" sign. It makes it looks like your family has had German Shepherds for generations. Get a nice wooden sign for your front door or your wall to showcase your favorite dog breed. You can also get signs that everyone on the road can see. A license plate frame for your car lets the world know that you are an Alsatian fan. And that you have a sense of humor. In shopping for dog breed signs, know that they may be constructed for indoor or outdoor use, or both. Make sure to read the description carefully as some signs (and license plate frames) are made of aluminum, while others are composed of polystryrene - a heavy weight plastic.